Cracking the whip on the cash-rich BCCI, the Supreme Court today restrained it from disbursing extra funds to 25 State associations till they accepted the Justice Lodha Committee reforms in “letter and spirit” and informed the same to the panel and to apex court bench hearing the matter. Passing a short order, the Chief Justice of India T.S. Thakur-led ruled that BCCI shall not disburse Rs 16.73 crore each to 13 State associations as per a decision taken in the Special General Meeting (SGM) on September 30. These 13 associations are yet to receive their share of a pay-off made by a private sport channel to the BCCI regards the broadcasting rights of the Champions Trophy and T20 tournaments. The CJI said the pending Rs. 16.73 crore and any future funds would be released to them only after they passed a resolution to undertake to comply with the Lodha reforms and filed affidavits before both the Lodha panel and the Supreme Court attaching copies of such a resolution. As far as the remaining 12 State associations are concerned, the Supreme Court barred them from using the Rs. 16.73 crore already disbursed to them by the BCCI on September 30 until they filed a resolution to implement the Lodha Committee reforms, followed by affidavits in the Supreme Court and the Lodha Committee. In case the dozen associations continue to resist the Lodha reforms, the money disbursed to them would be invested in fixed deposit accounts until they change their minds, said the court. Yesterday the bench had asked the BCCI to give an undertaking that it will unconditionally implement the reforms suggested by the Lodha panel in improving the working of the board and usher in transparency and also not disburse money to those state associations who are not ready to implement reforms. But senior lawyer Kapil Sibal, representing the Board sought more time , till October 17 for it saying the “associations had to be consulted” which the bench refused, and said it would pass an order today. “See if you had sought time (to implement reforms) it was fine. We are not on the question of time frame but this defiant attitude…cricket season or no season more important is transparency in the dealings..We will still leave it open. But BCCI should unconditionally agree to comply with the recommendations and also not disburse money to association who are not willing to reform..We cannot continue with this..We have other things to do..we have people languishing in jails. Their cases are more important for us”, the court had said. “People want money from you but at the same time they are not ready to reform why do you pay money to those who do not listen to you? Nobody can say I want money but I will not reform you tell them if you want money you reform. Stop payment to all associations who are not ready to reform. To those to whom money has been disbursed, let them refund. Did not the Lodha panel warn you against such unauthorized disbursement”, the bench asked Sibal. SC not only throttled 25 state cricket associations asking the Board not to disburse extra funds to them till they implemented the reforms but also is now probing if President Anurag Thakur even went to the extend of attempting to take ICC Chief Executive David Richardson’s help to wriggle out of Lodha reforms. A bench headed by Chief Justice T S Thakur while cracking the whip on the defiant Board, asked Anurag Thakur to explain by filing a personal affidavit before October 17, the statement made by the amicus curiae Gopal Subramanium that the Board President had asked the CEO of the ICC to state that the appointment of Justice Lodha Committee was tantamount to government interference in the working of the BCCI. 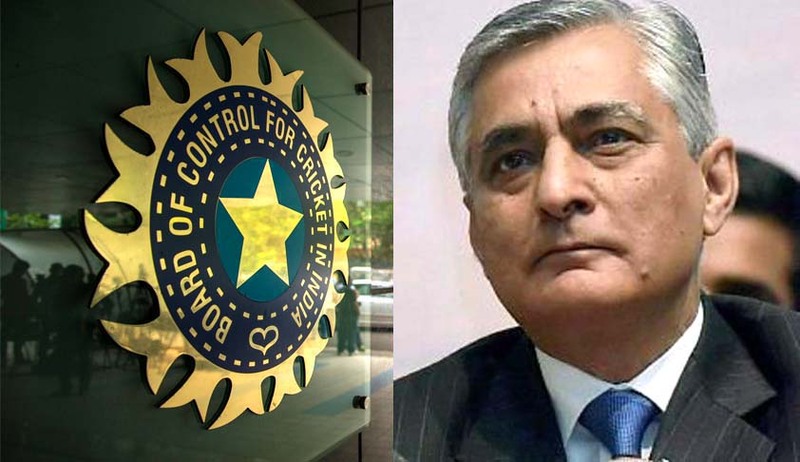 It is to be noted that while objecting to the Lodha panel’s recommendation to include a CAG nominee within the BCCI to bring in "transparency and oversight in monitoring the finances", the Board had been consistently taking the ground that inclusion of a CAG nominee would bring in an element of government interference in board affairs, which under ICC rules was a ground for its de-recognition or suspension. The court’s order came after Amicus Curiae Gopal Subramanium told the bench that "BCCI president Anurag Thakur asked ICC Chief Executive David Richardson to write a letter to the BCCI asking the BCCI to explain whether the recommendations of Lodha Committee might constitute government interference".